Have a BLAST with TNT Inflatables!!! TNT Inflatables LLC...the bounce house, slide, jumper, or combo unit you want, at a great price!!! Educational games including a shape activity with Mickey Mouse, matching colors in the large ball pond and counting shapes with Goofy. Colorful pop ups and 3D characters abound in this Toddler Jump, and an exciting climb and slide will have them laughing all day. Serving the Hammond, Ponchatoula, Amite, Madisonville, Mandeville, Covington, & surrounding areas with Waterslides, Bounce Houses, Combos, Interactives, and Toddler Jumps for rent! We currently offer inflatable bounce houses, inflatable water slides, inflatable slip-n-slides, inflatable dry slides, inflatable toddler jumps, and inflatable obstacle courses. Our inflatables for rent come in various sizes and themes. Ask about our most popular inflatables for rent including our Tropical Obstacle Course, Mickey Mouse Learning Park , and our Animal Kingdom Playland. Check out our Dolphin Bump Slide and our 20 foot Tropical Slide available as a dry slide or up the fun and excitement and rent them as a water slide. 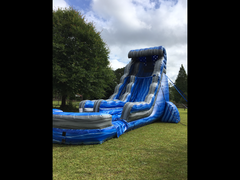 Whether you call our inflatables bounce houses, space walks, fun jumps, jumpers, or bouncers, we know that you will love TNT Inflatables' huge selection of both wet and dry inflatables for rent. 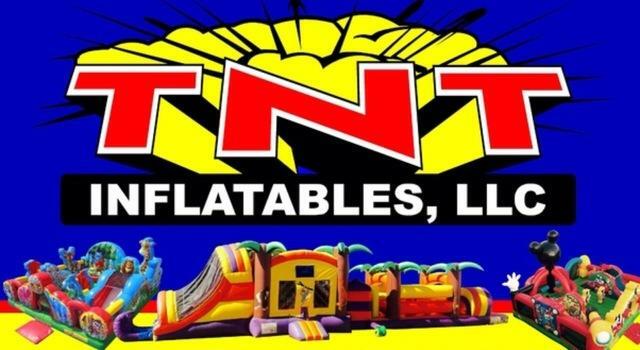 Reserve TNT Inflatables LLC for any occasion - any time of year. We service both residential and commercial locations. We offer inflatables for rent at your next birthday party, family reunion, church function, corporate event, school fundraiser, and/or social gathering. 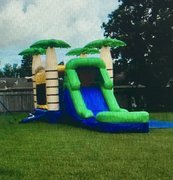 Our inflatables for rent are currently delivered to and set up in the following areas of Albany, Arcola, Amite, Covington, Fluker, Folsum, Greensburg, Hammond, Hillsdale, Husser, Independence, Loranger, Madisonville, Mandeville, Montpelier, Natalbany, Ponchatoula, Robert, Roseland, SLU, Springfield, & Tickfaw. If you don’t see your location listed here, call TNT Inflatables LLC to inquire about additional service areas. 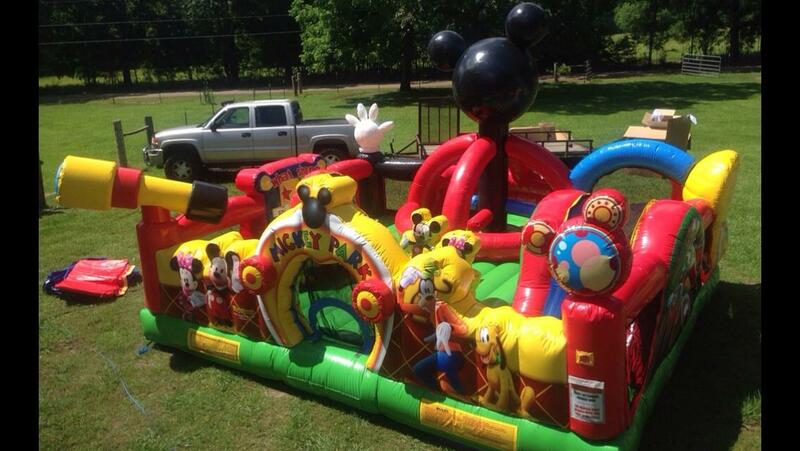 Call 985-507-3508 to reserve your inflatables for rent or to inquire about additional party supply options.